As you can probably tell (look at second to last photo), Zaden wasn't in the mood for pictures this day. He really wanted to nurse and take a nap but I couldn't help but try and get a few shots with him since he was looking exceptionally adorable. Baby Gap has my heart when it comes to baby boy clothes. I will probably re-wear this outfit to our wards Christmas party this Saturday night. I really love the look of gold and red together. 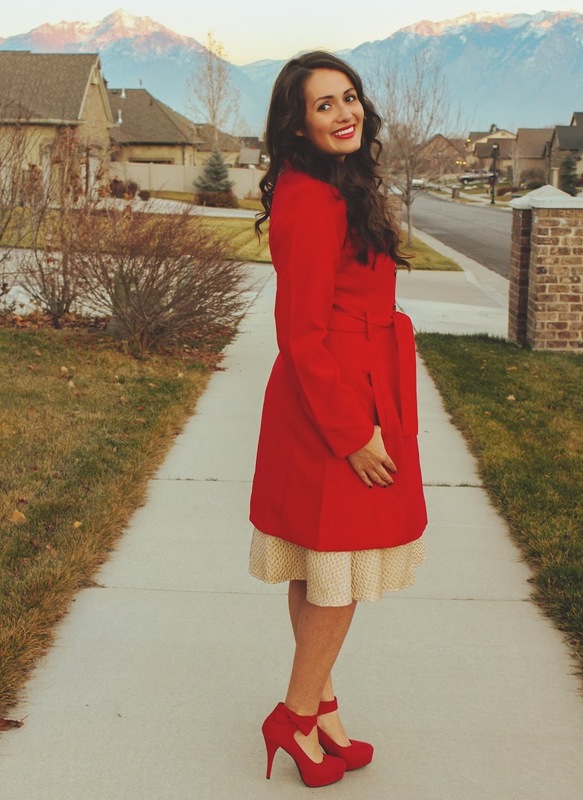 This coat from Lulu*s is so warm, cozy, and the perfect shade of red. 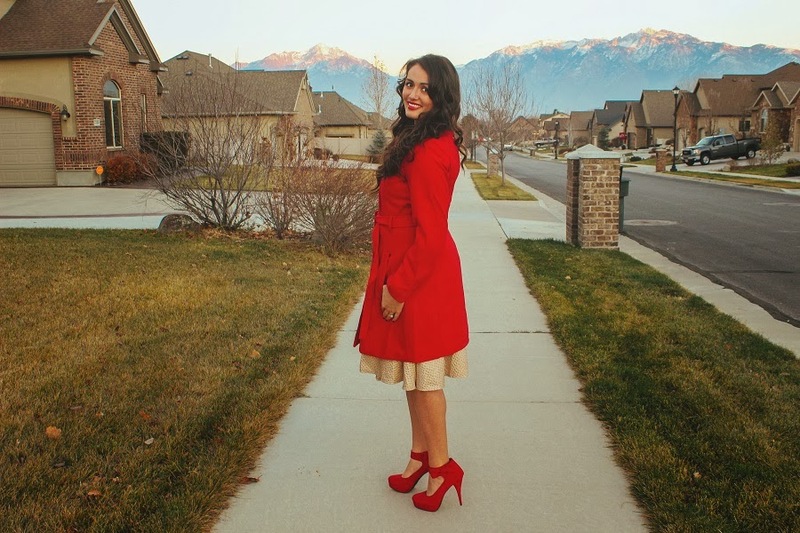 It went perfectly with these red bow heels my friend Dani bought me for Christmas last year. 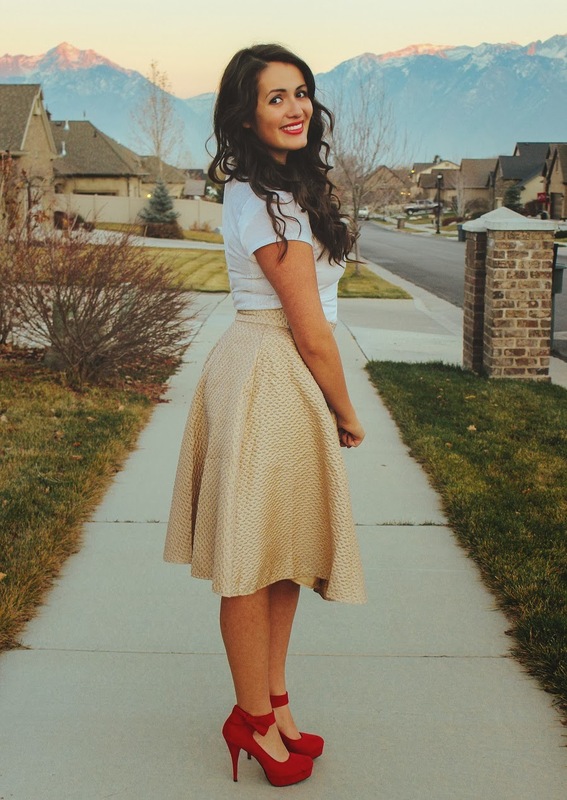 On another note, this gold skirt from Lulu*s is perfect. I've been a big fan of all things silver and gold as of late and really like the subtle hints of gold in this skirt. The fabric is so thick and the fit is so flattering. I normally wouldn't suggest paying more than $40 for a skirt but this skirt is definitely worth the price. I wish it came in more colors and prints because I would definitely buy a few more for Christmas. 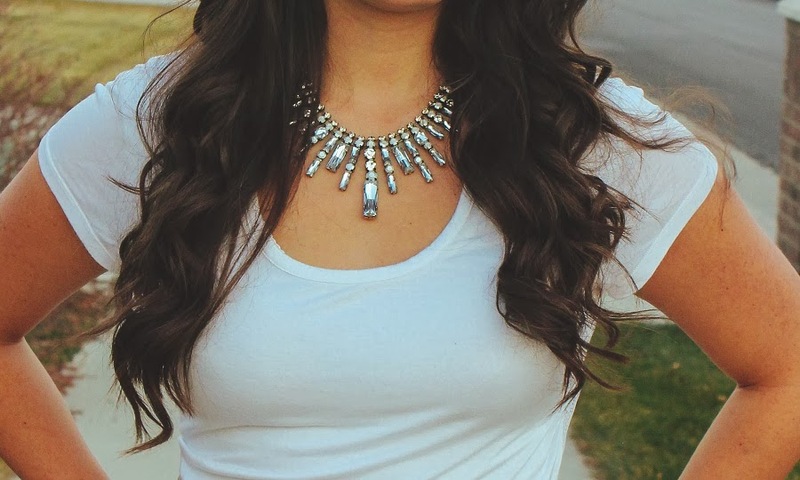 LOVE this, the red accents are perfect for the holidays! You two are killing me with cuteness!! 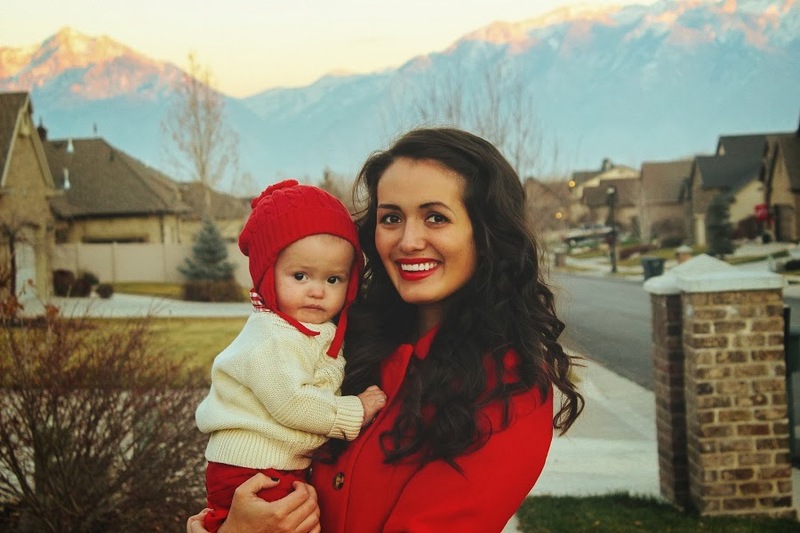 You don't even look like you had a baby!!! Beautiful. Totally diggin' those shoes. 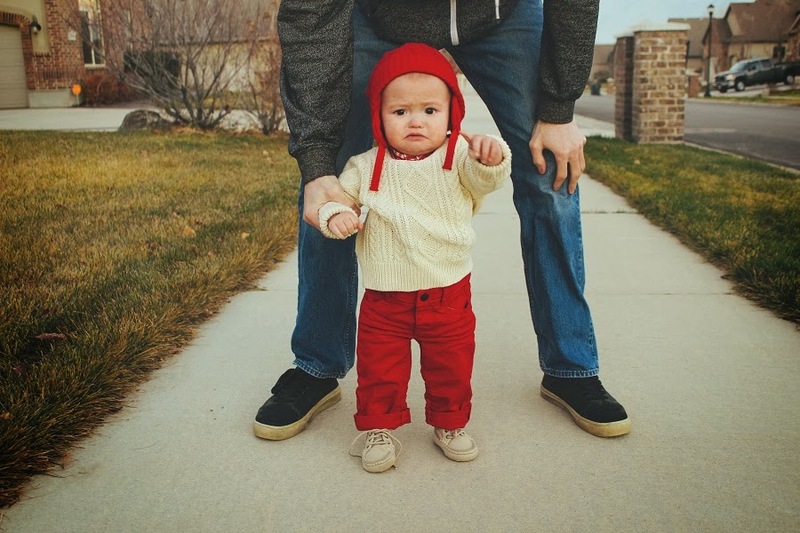 Maybe not a happy camper, but a super cute one--that's for sure! I love this outfit on you! 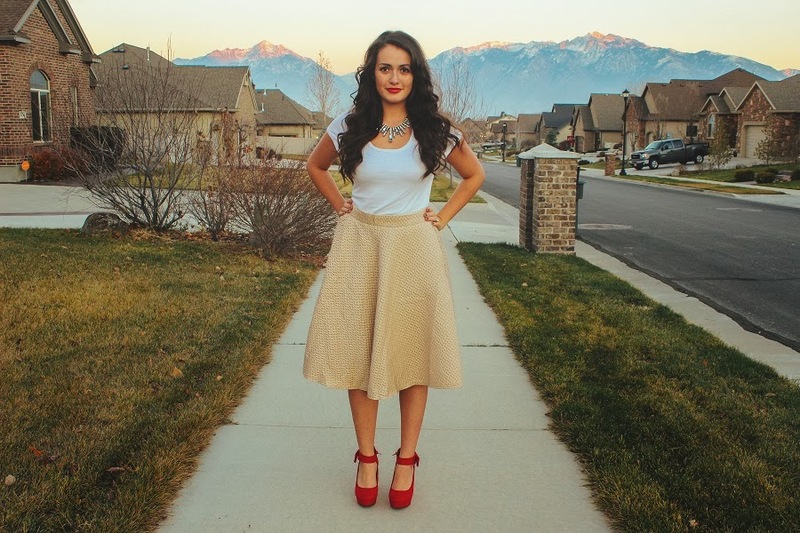 The skirt is beautiful and the heels are gorgeous! Awhhh this is beyond adorable! 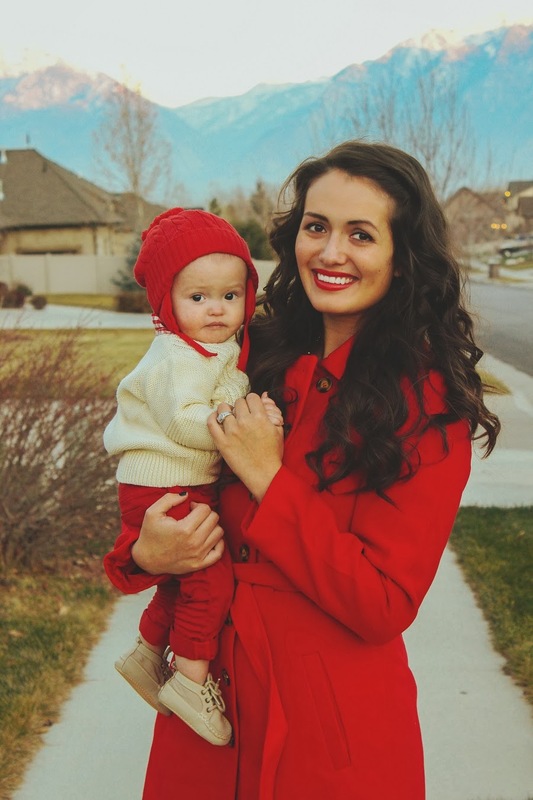 You and your little one match perfectly, so cute! And your outfit is really beautiful. Love the skirt!